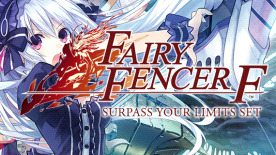 Fairy Fencer F: Surpass Your Limits Set includes Surpass Your Limits Sets 1, 2, and 3. Increases the level cap by 300 and unlocks a new dungeon on the World Map: Kidanar Plains- East Area. Increases the level cap by 300 and unlocks a new dungeon on the World Map: Bui's Hidden Valley. Increases the level cap by 300 and unlocks a new dungeon on the World Map: Zawaza Plains (Unexplored Region). Upon activation, this DLC cannot be disabled. Disabling may cause the program to be unstable and possibly result in a forced shutdown of the game. Before activating, please ensure that you wish to keep the content throughout the remainder of the game.